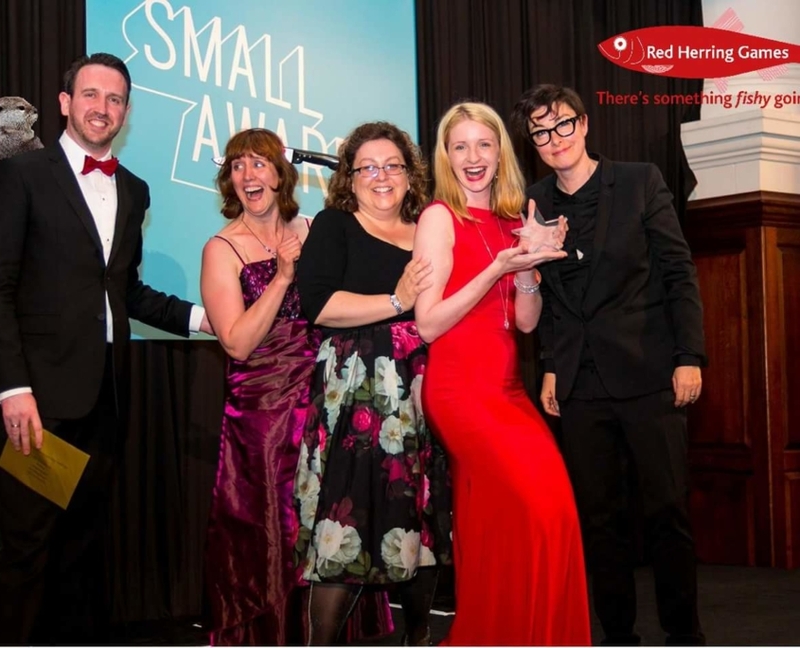 We walked away from London on the 25th May proud winners of the “Home and Away” Exporter category at the National Small Awards ! We were among 5 businesses nominated for the award. Judges included Mark Wright, Sir Vincent Cable, Emma Jones, plus several other really well-known figures. And they picked us! 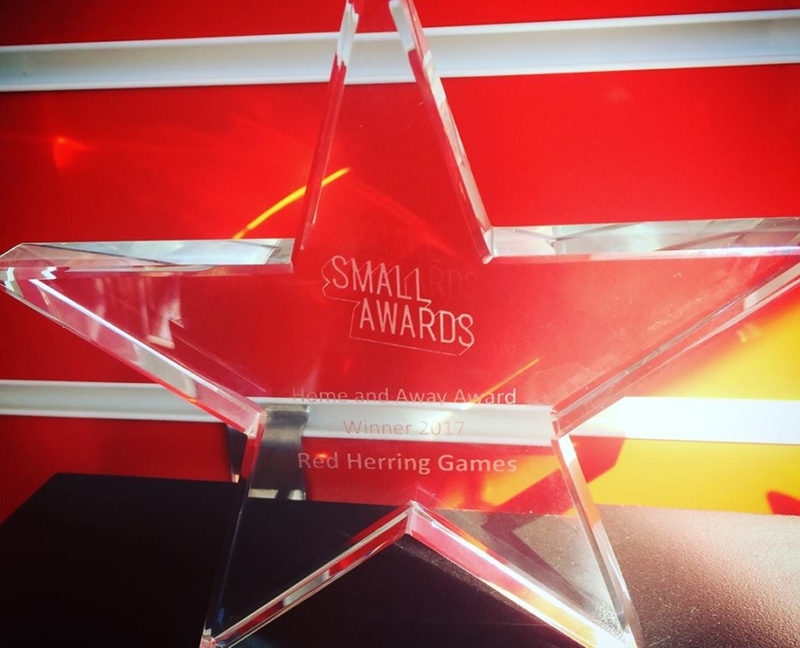 “Red Herring Games have taken a challenging product to scale and made it work across the globe. The impressive international footprint supported by a newly developed scalable digital product has led to an incredible export performance from this business from Grimsby”. WOW! I mean. 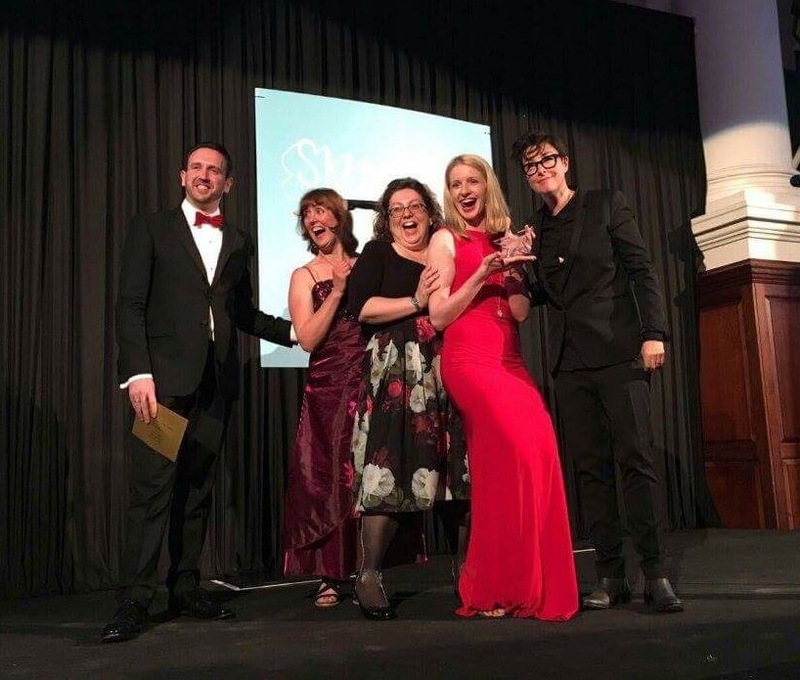 WOW!We just couldn’t believe our name had been read out, and for those who’ve seen the live Facebook feed from the evening itself – you can tell how shocked, stunned and delighted we all were! We were so convinced someone else would win the category we were all set to clap the winners and it took us a few seconds to work out the judge had just announced “Red Herring Games” as the winners! US! Yes! (If anyone has seen that moment in 4 weddings where Hugh Grant runs through that series of expletives – well… it was like that… only without the expletives as we’re all far too polite for that – but gosh and golly!! SHOCKED wasn’t the word! Obviously it’s come at the perfect time for us as we’re in the middle of crowdfunding for CosyKiller – our murder mystery subscription box. And a win like this will really raise awareness of the campaign which only has another 14 days to run (do check it out). In all the excitement at the Awards, we missed the last train back from London – and much apologies to those three guys on the tube from Aldgate to St Pancras who witness us preparing to run, tying up our long ball gown dresses etc, as we still buzzing from the win – but sadly despite all our preparations we were still 3 minutes late – not helped by the fact the tube pulled into St Pancras and not directly into Kingscross which meant a much longer run across taxi ranks and up stairs!. Not to be deterred by the fact we’ve never seen the Kings Cross boards so empty, we hopped on the last train to Cambridge and taxied the rest of the way home. But MASSIVE THANKS to all our customers for getting us to this point! We’re 10 years old this year as a business and we landed a top National Award! Whoop Whoop!! No idea what Jo was looking at… so we decided to do a spot of photoshop to make sense of the “official photo”. Otter Photo Bomb!